Not only is Edinburgh the best place to live it is the best place to publicise your business – with a little help from the team at PR agency, Holyrood. You may or may not know that Edinburgh has recently been named in a new survey as the best place to live in the UK. To be honest this didn’t really come as a surprise to us as we’re based in this fantastic city and most of the team have lived here for the majority of their lives. Edinburgh is the home of Hogmanay, amazing architecture, fantastic museums, the biggest arts festival in the world – the list goes on. Little wonder, then, that Edinburgh tops the list of the best places to live. We have long known that Edinburgh is the place to be, but a new Quality of Life Index from uSwitch.com rates the capital as the top place to live because it has low crime rates, affordable living costs, high salaries, and fast broadband. The city rocketed an impressive 97 places from 2013 when the survey was last done to hit the number one spot this year. But let’s face it, the city does offer the best of everything – not only in terms of living but in terms of business. Edinburgh has always been the second business hub of Britain with a huge financial services industry at its foundations. In recent years as we’ve moved out of recession this has been enhanced and updated by a huge rise in the number of technology companies either starting up, or expanding on, their capital based homes. One fantastic example of a technology company enjoying all that Edinburgh has to offer is our client Commsworld, a telecommunications firm that successfully diversed into Network Communications when it acquired a young business called Fluency in October 2012. The firm has developed into an industry leader and with our help now has the same profile and reputation as an industry leader due to a raft of business boosting coverage regarding its various high-profile Edinburgh based projects. Commsworld asked for our help just over a year ago. It is Scotland’s largest independent telecommunications and digital services provider, which is a great starting point, but it needed to get that message out to the masses and do it in a way that didn’t lose the audience in technical gobbledygook. In our first six months working with the team at Commsworld, who we should also add are brilliant to work with, we grabbed some great coverage on stories such as “internet exchanges being unbundled” to help resolve an internet blackhole in the middle of the city centre that was crippling many businesses in the area. We then detailed how Commsworld was expanding its very own network, the only Scottish based network, to allow more business in Scotland to benefit from the low-latency and increased resilience it offered, while it ensured digital information wasn’t having to go from an office in Scotland all the way to London and back before it arrived at another Scottish destination. By the turn of the year we the Commsworld PR machine had built a head of steam but little did we know that two high profile Edinburgh based projects were about to take the firm’s reputation onto a whole new level – if handled correctly by an award winning PR agency of course (apologies for the self-praise, but we’re very proud of what we do here). In March Commsworld announced it would partner with Network Infrastructure firm CityFibre to turn Edinburgh into a Gigabit city and in May it launched the project. 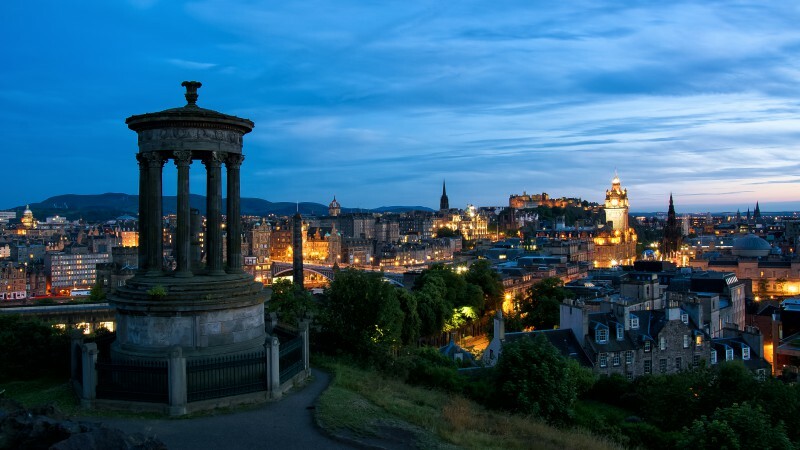 For the non-techie reader this Edinburgh CORE project will see 150km of state-of-the-art fibre cablke lad throughout Edinburgh allowing business which connect to benefit from internet speeds up to 100 times faster. Not only will these benefits also be available to public sector organisations, but in future this sort of connectivity will also be rolled out to residents. And in September we told the story of how Commsworld had signed another deal with a global IT consultant CGI as its preferred network provider to deliver the superfast fibre project for the City of Edinburgh Council. The deal itself is worth £186 Million and will spread across 400 sites. The ultimate goal is to provide Schools, Libraries and Council buildings to get the fastest connection possible to allow access to more online resources, increasing creativity and efficiency. Without wanting to blow our own horn (too much), the coverage has been phenomenal. In May alone Commsworld’s deal with Cityfibre gained 17 media hits reaching a potential audience of 4,510,888, while the Edinburgh council deal made it into 23 paper and online publications reaching 9,783,899 people. However don’t take our word for it, have a look at our dedicated client hub to see all the various press release and coverage. astounding. They seemed to keep finding new methods to reach our target audience delivering quality coverage and absolutely smashing the targets we set them. While Commsworld is Scotland wide business with several clients outside Edinburgh, it is clear it has benefitted hugely from all the capital has to offer, whether that be clients, partners staff or opportunities. We definitely think it’s a great place to live and work and we are delighted to see it receive the well-deserved title of best place to live in the UK. If you think your business could benefit from PR then we would love to hear from you. Give us a call on 0131 561 2244 or fill in the contact form below and we will get back to you.